Learn more about A Patient's Bill of Rights here. (c)otherwise at the discretion of the Board after consultation with ULFA. Our Member organization has a high turnover rate, which is a common characteristic found in the direct selling industry. Perhaps the reason they have a high turnover rate is because only a very few members make anything approaching a sustainable living. 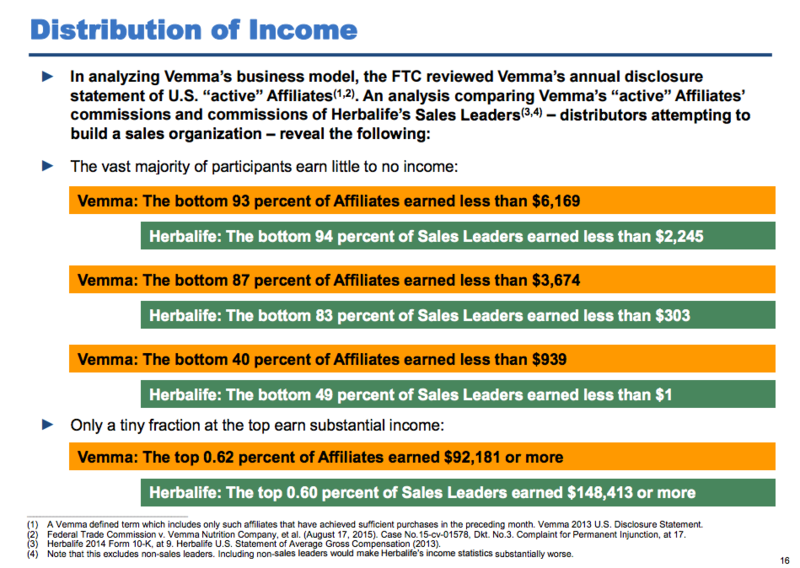 Bill Ackman compares Herbalife to another similar company, Vemma, recently sued for fraudulent marketing practices.